In “Around The World In 80 Plays,” Alex breaks down the barriers of space and time. Once again taking you from the 20s to today, while also showcasing artists from across the globe. EPISODE 4 – Around the World in 80 Plays NEW! 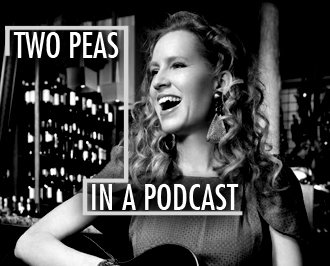 Host Alex Pangman takes the listener on a musical journey of duos and musical pairing, on “Two Peas In A Podcast”, a program featuring classic jazz stylings from the 1920s-2010s. Songs include Tea For Two, Cocktails For Two, Takes Two To Make a Bargain etc. Artists include; Fats Waller, Art Tatum, Rebecca Kilgore, and more!